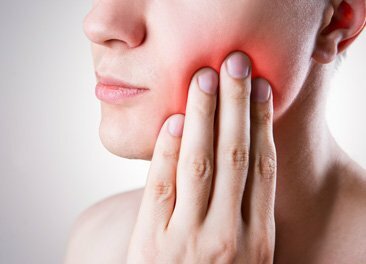 When the nerve tissue inside of a natural tooth has become infected or irreversibly traumatized, it is often necessary for the dentist to perform a common procedure called Root Canal Therapy. In fact, most St. Augustine dentists will recommend root canal therapy as the best alternative to having a natural tooth extracted. Diagnosis- The dentist must first determine that the nerve tissue inside of the tooth is infected or irreversibly damaged. Local anesthetics- The tooth and the surrounding gum tissue must be numbed before the procedure can begin. Sedatives and general anesthetics are not generally required. Isolation- A dental dam is placed around the tooth to prevent your oral bacteria from contaminating the treatment area. Pulp Removal- The dentist will make a small opening in the tooth to access and remove the nerve tissue inside of the tooth (called the pulp). Canal Preparation- Small instruments called files are used to smooth and shape the nerve canals inside of the tooth. Then, the area is sterilized with an antiseptic cleaning solution. Fill the Canal- The empty, sterile canals within the tooth root are filled with an adhesive sealant and a rubbery material known as gutta-percha. Buildup and Crown- A filling known as a buildup is used to seal the access opening once the canal areas have been filled. Next, a dental crown must be placed over the entire tooth to strength and protection. Follow-up Care- The dentist may prescribe antibiotics and pain relievers if necessary. Also, dental x-rays will need to be taken on an annual basis to ensure that the treated tooth has remained healthy and free from infection. The root canal procedure helps to extend the lifespan of a tooth in cases where the nerve tissue has become unhealthy. This procedure can eliminate chronic tooth infections, dental pain, and sensitivity. If you suspect that you could benefit from root canal therapy, contact a dentist in St. Augustine today.